It's that time again!!!! Join us on Sunday February 17th for our 3rd Chili Cook Off!!! Do you have a killer chili recipe?!? 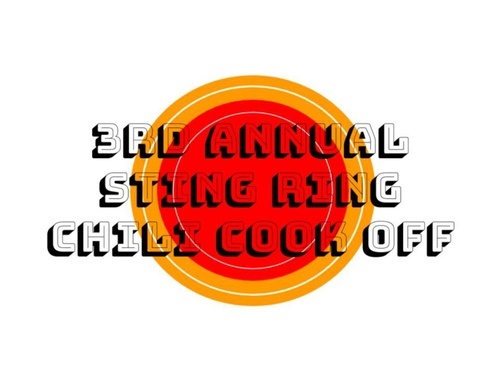 Enter your chili for a chance to have your name engraved onto our ever so classy Sting Ring Trophy!!! It's a $10 donation to enter your chili. A $10 donation will get you a score sheet and a vote for your favorite chili! A portion of the proceeds will go to the Crohn's & Colitis Foundation of America! If you're entering a chili, you can sign up and pay at the taproom, or if you plan on just tasting, you can show up and pay on the day of the cook-off!